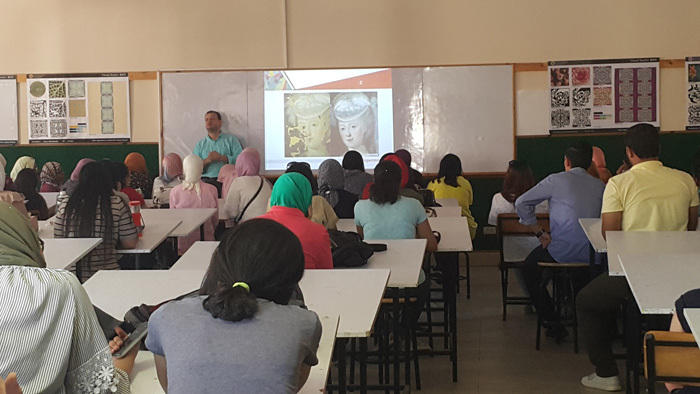 The faculty of Arts and Design held an orientation session for the new students on the faculty following departments: (Graphic Department – Painting Department – Fashion Design Department). This was held on Tuesday 3/10/2017. 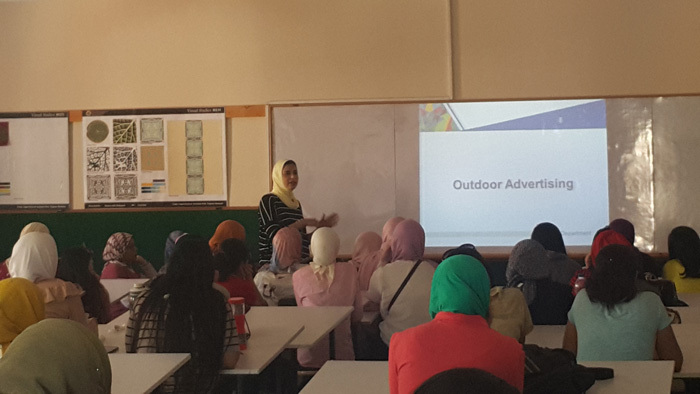 The session was given by Dr. Waleed Matar, a Lecturer at the Painting Department and Ms. Sherhan Abd El Naby, an Assistant Lecturer at the Fashion Design Department. 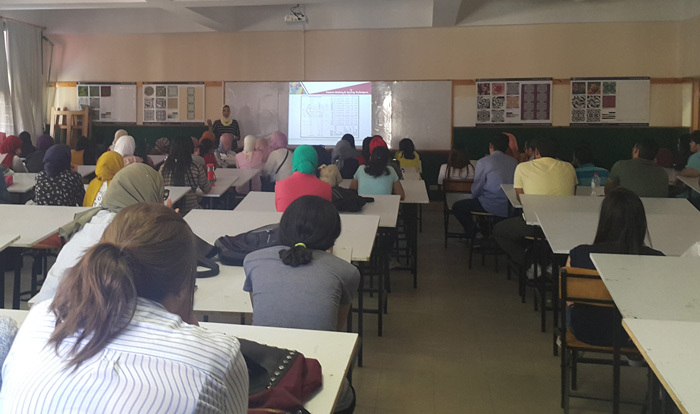 The session was held under the supervision of Associate Prof. Nahla El Deeb, the faculty student activities leader. 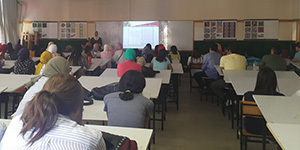 During the session, a power point presentation was shown to provide the new students with a full description of each department, alongside displaying the artistic works of the students of those departments. 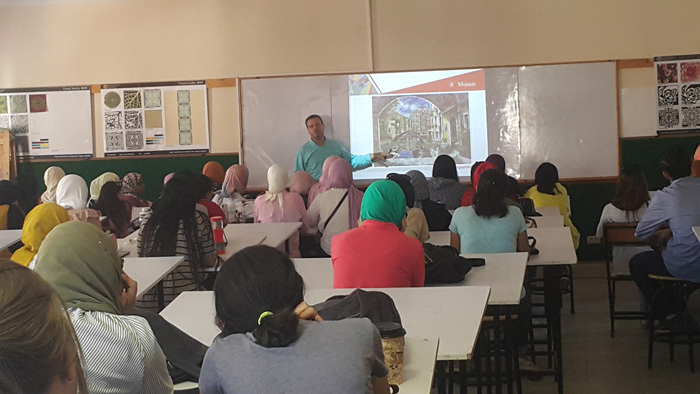 The new students were counselled during the session to develop their potentials so as to be able to meet the varying requirements of the labor market.